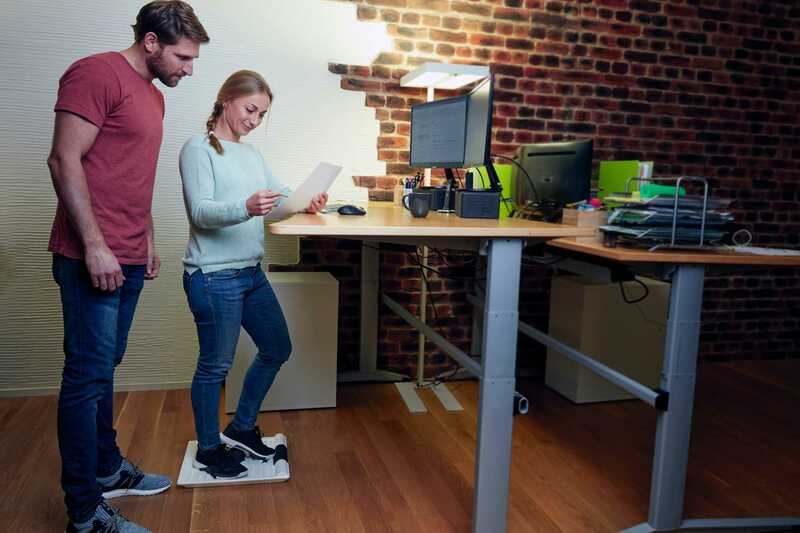 The revolution for your standing desk: The BLACKROLL® SMART MOVE BOARD keeps you energized and healthy during the day. You’ll feel better, work smarter and burn more calories. - boost your cardiovascular system. - burn more calories during the day. 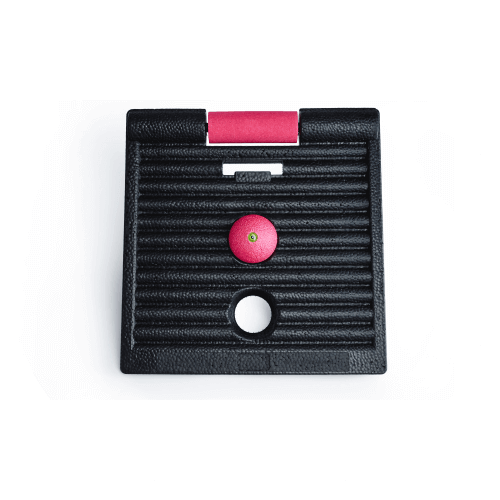 - is structured to stimulate your feet. - is soft to relieve pressure on body and joints. 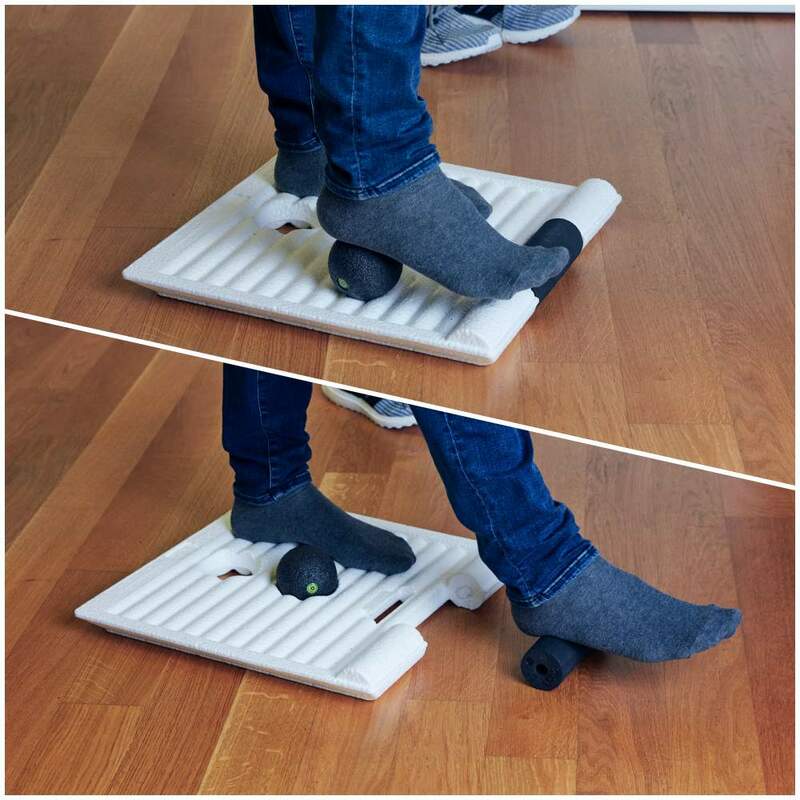 - can be used barefoot, with socks or shoes. 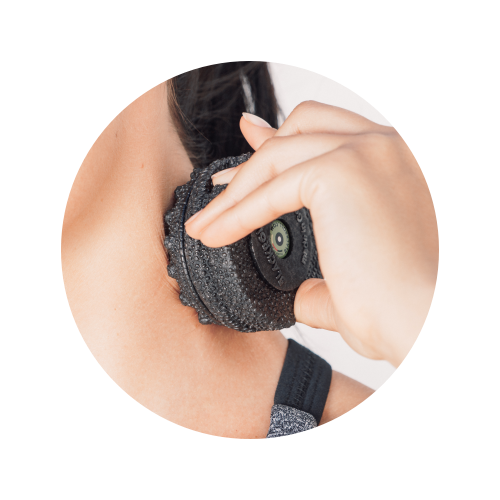 - the smaller ridges activate your soles. 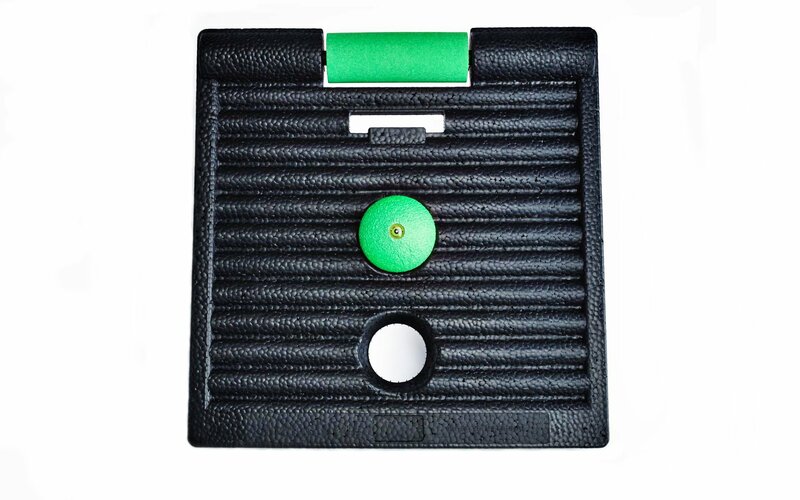 - the larger ridge helps with stretching your calves. 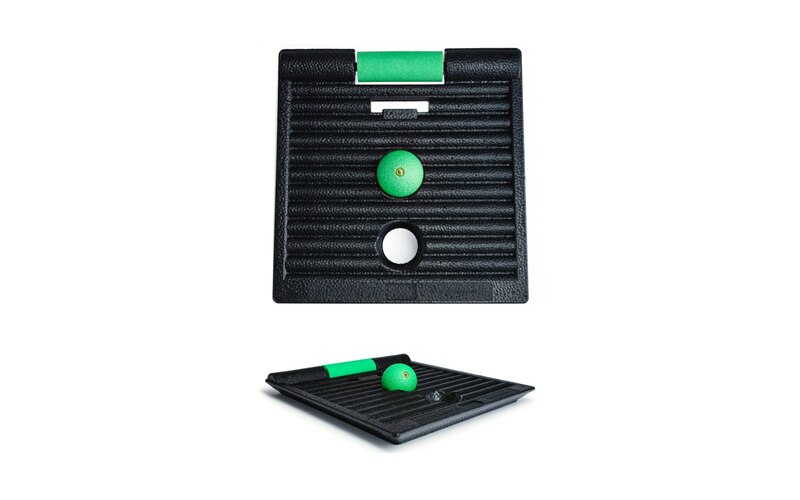 - the slot allows to play with your big toe and strengthen your sole. 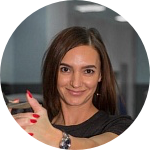 - together, they allow for a variety of standing positions. 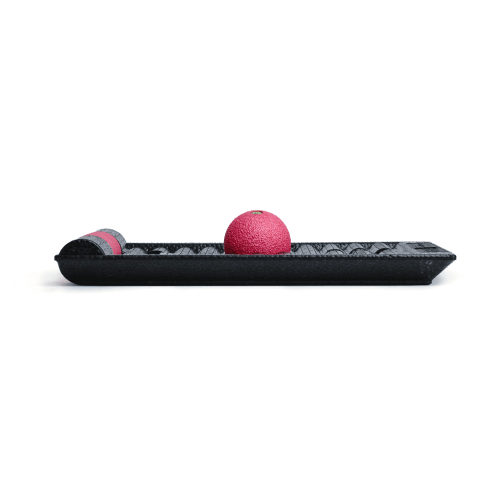 - the tools are perfect for a foot massage and deep stimulation of targeted points. 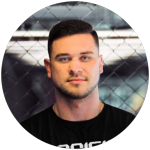 - they keep your plantar fascia supple and healthy. - and encourage active standing. 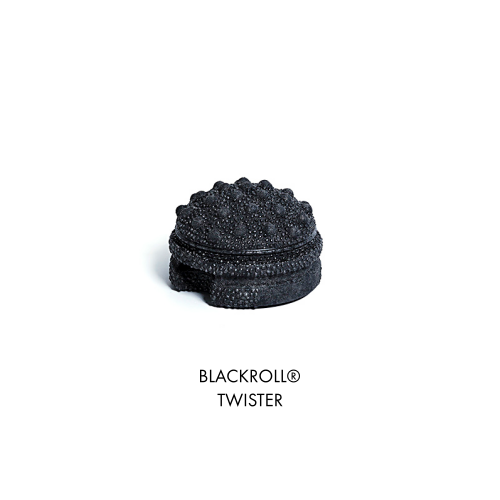 - is comfortable, light, pressure-relieving and highly elastic. - made for prolonged standing. 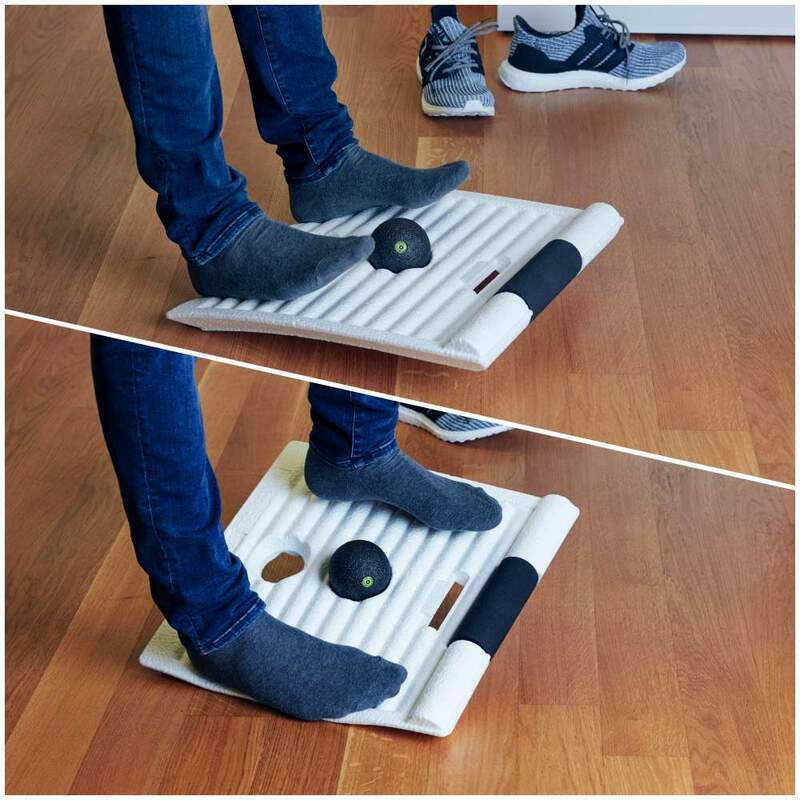 - reduces fatigue in your legs and feet. - is available in different colors. 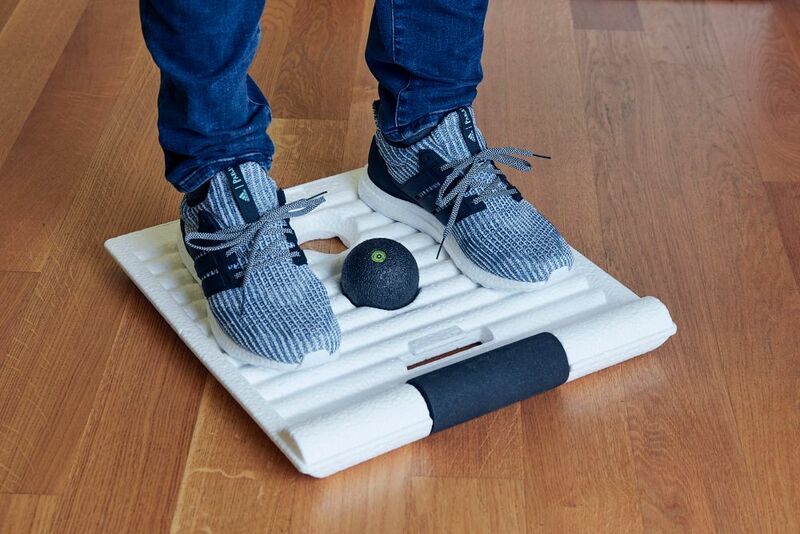 Why 5 minutes of rolling your feet with the MINI make a huge difference? 44 cm x 43 cm x 5.5 cm, 1 kg. 17.3 in x 16.9 in x 2.16 in, 2.2 lbs. 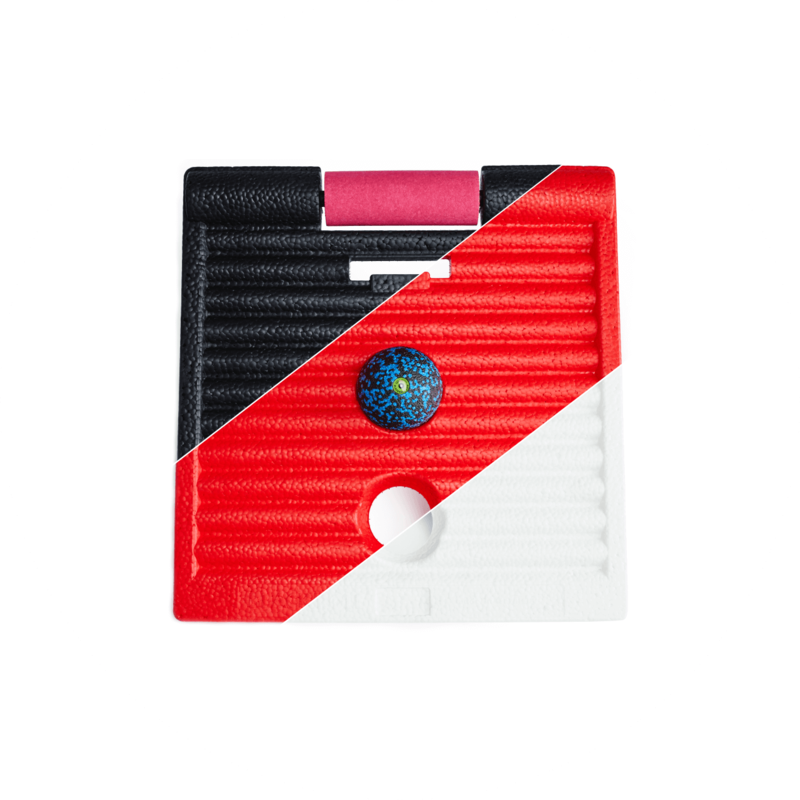 Colors of board (black, red, white). 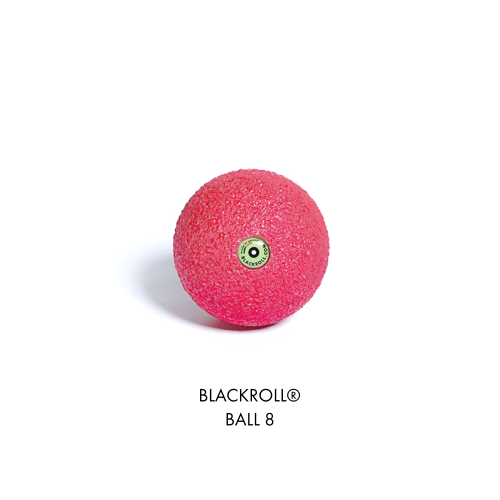 Colors of ball and roll (black, pink, green). Up to 100% recyclable material. Innovative SmartLite foam – durable, light, soft and highly elastic. Springs back into its original shape immediately and will not compress over time. "This board is great! 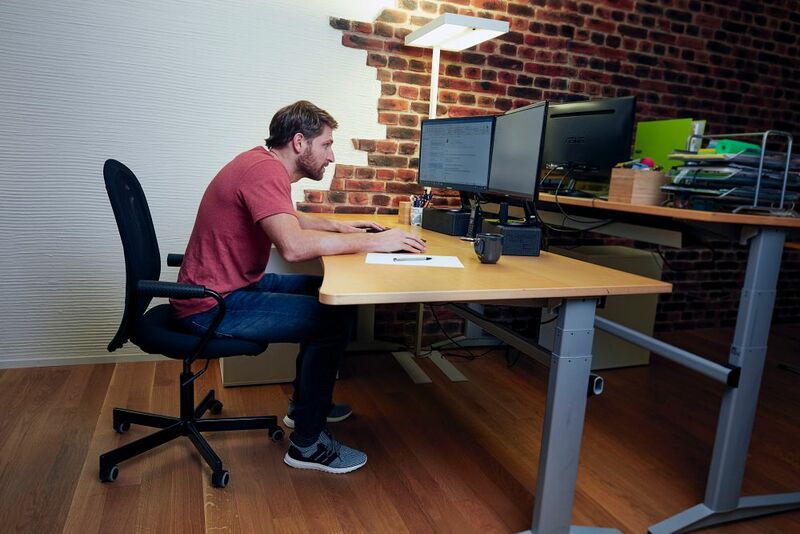 I’ve tried it out at my standing desk and I like it a lot! I’ve been standing in different ways without even thinking about it. 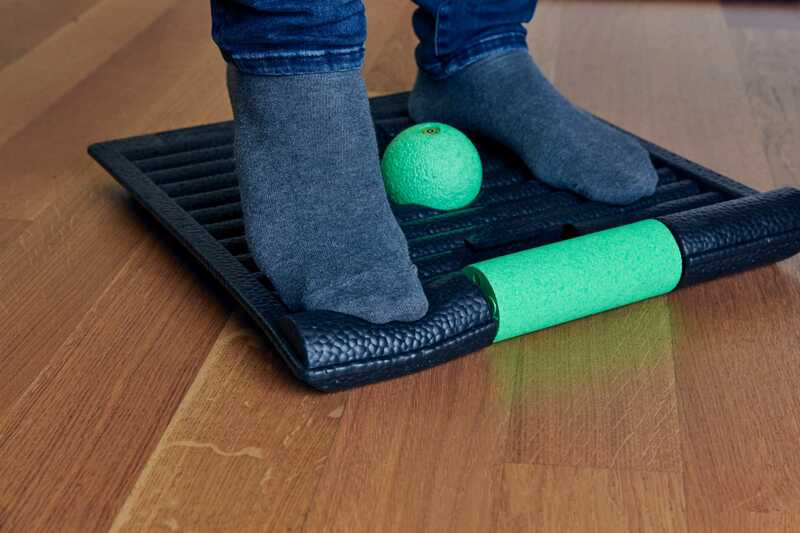 And I love using all the different features on the board to keep my feet moving. I feel like I’m staying active all day! It’s perfect!" 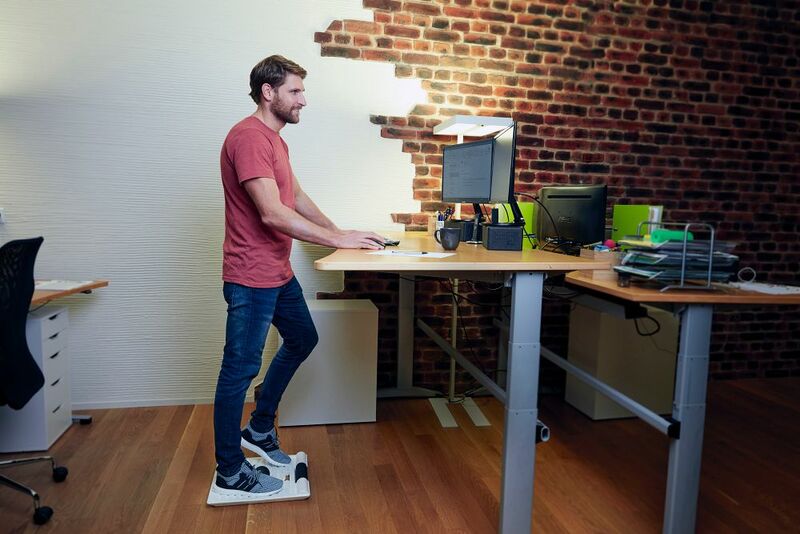 "We’ve been looking for new office equipment to help keep our team healthy and active for a while. This board is just what we’ve been searching for! We love that it has a comfortable, anti-fatigue footbed with massaging mounds. 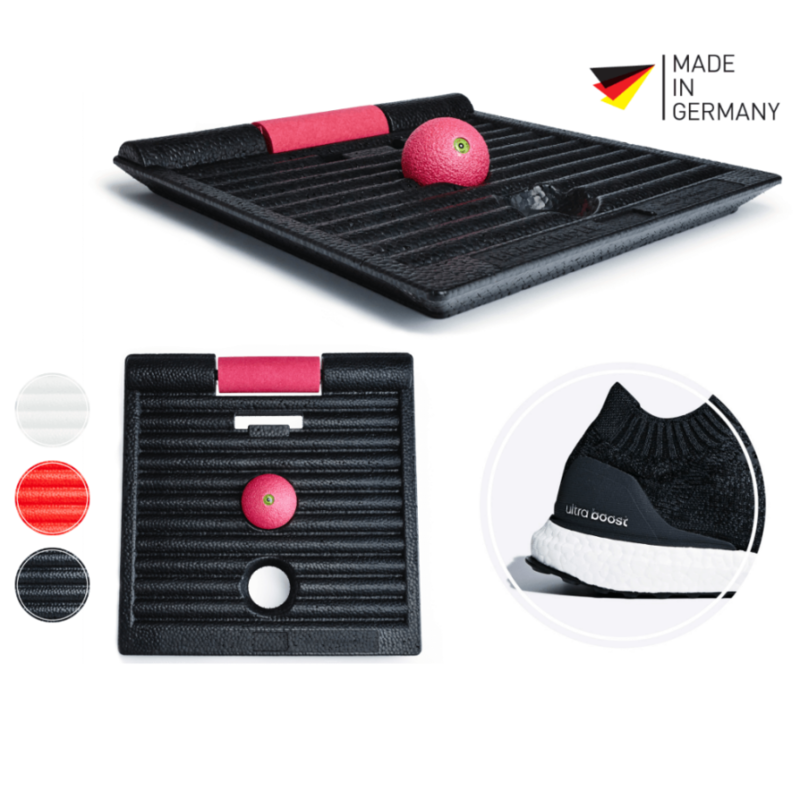 And the special surface is great with so many functions will keep us moving and active all day long. " 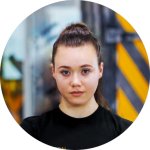 "Research on the right mat has been daunting-so many options and opinions! I’m so glad that I got to try the SMART MOVE BOARD. It’s the perfect firmness. I love being able to alternate positions and roll the mini and the ball as special ad-on tools. I can easily stand twice as long each day and I get to move around. " 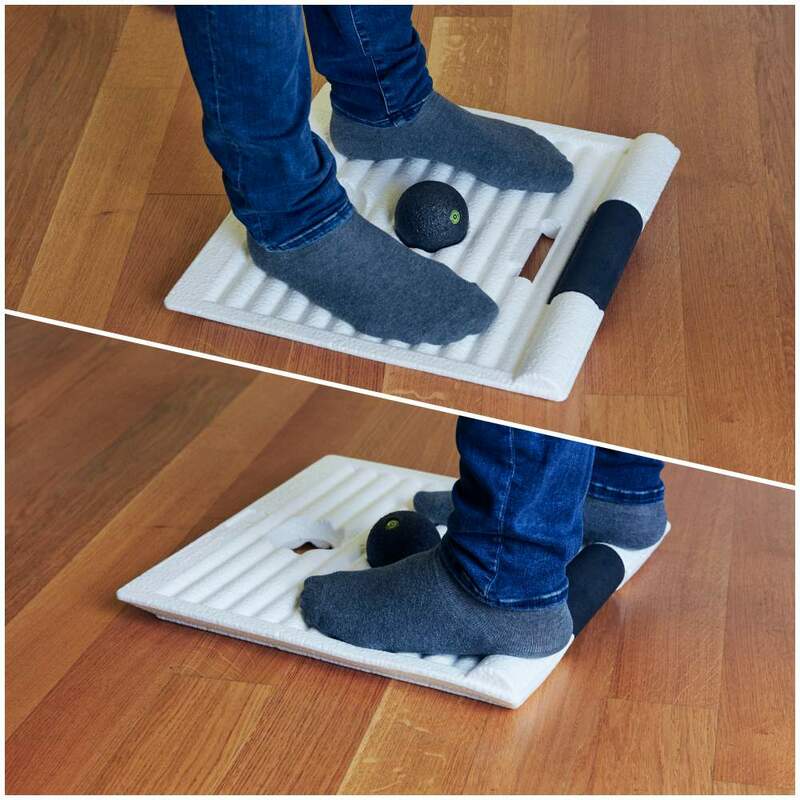 Roller massage and balls for active standing allows you to bend and stretch your feet on this ergonomic standing board and encourage subconscious movement and stretching. 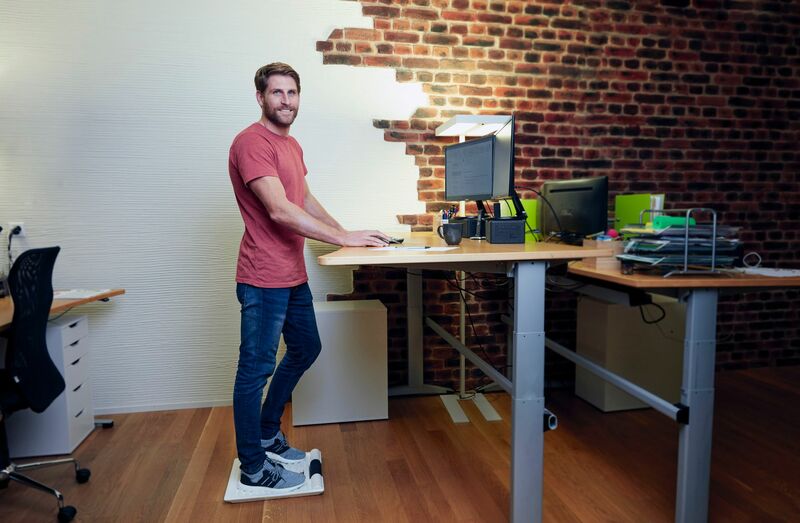 It promote healthier movement and relieves the pressure from standing all day so you can stand longer without fatigue or aching feet & legs. The cushioned terrain keeps you moving, makes you more energized, helps burn more calories and reduces feelings of anxiety and depression. 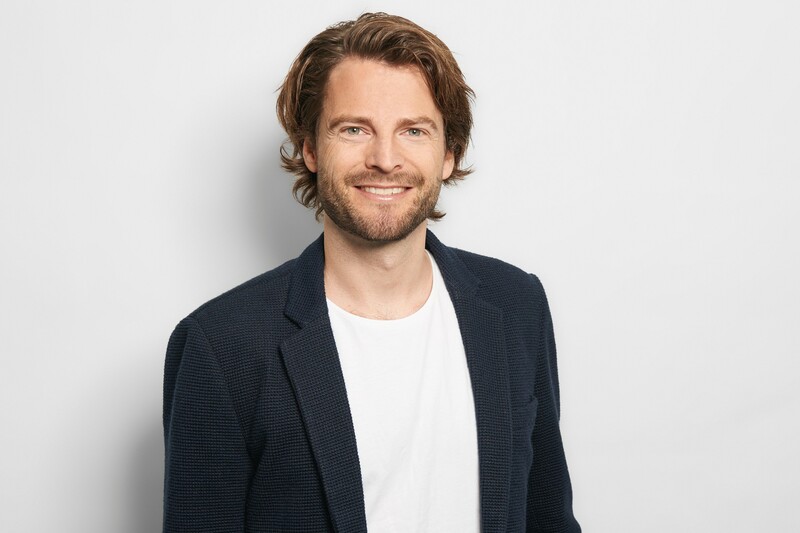 © 2019 BLACKROLL.COM. 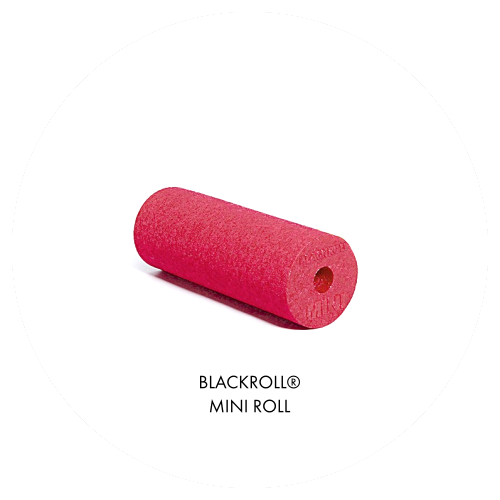 BLACKROLL AG. HAUPTSTRASSE 17, CH-8598, BOTTIGHOFEN, SWITZERLAND.